A classic American-style pulled pork. 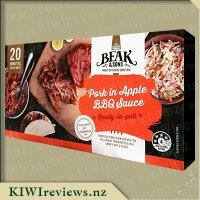 Beak and Sons Apple BBQ Pork is the perfect combination of boneless pork, seasoned with aromatic spices and marinated in a smoky apple sauce then cooked, so it&apos;s meltingly tender and full of flavour. Perfect for pulling, simply heat, then shred the hot, sauce-covered meat into succulent chunks and serve. 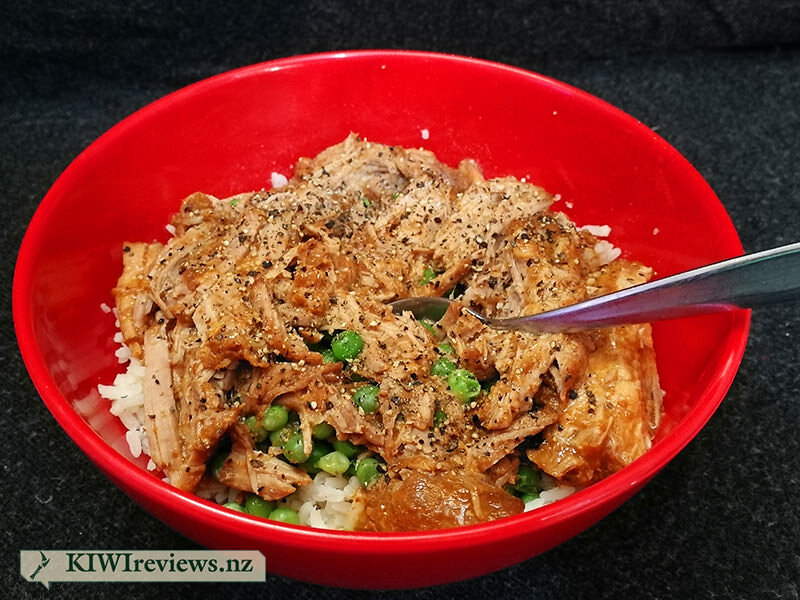 Pulled pork is something I cook up quite often at home in the slow cooker as it is my partner&apos;s absolute favourite filling to put into sandwiches or wraps. 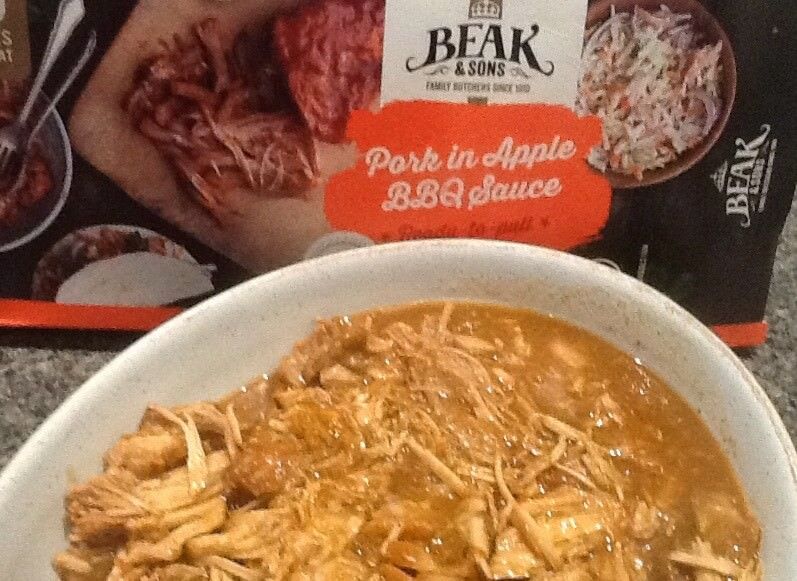 We used to purchase it in store but sadly the company behind the delicious product is no longer so making it myself was my last resort, so when I came across the Beak & Sons Pork in Apple BBQ Sauce I was delighted by that of this saving me a job of pulled pork making each week! My partner was also thrilled to see such a product, so much so that he actually set to work himself preparing the product which is something that NEVER happens in my house!!! 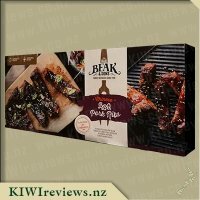 The pulled pork comes in a beautiful cardboard box which looks very classy and truly reflects the product inside which you are about to eat, it does let you know that the pork is not already pulled, rather it is ready-to-pull and can be ready in 20 minutes by simply heating through in your oven. Inside the cardboard packaging is a foil bag in which the pork sits with a very generous amount of Apple BBQ sauce. I loved that the product comes in a special foil package as this is a great way to keep it fresh for longer and also to stop any fluids leaking out before opening. The cooking instructions couldn&apos;t have been easier and there are 2 options to do so either using the oven or the microwave. 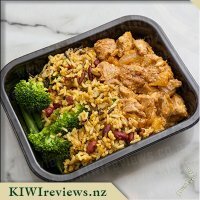 Obviously my partner decided on the microwave option which was super quick, he placed the 3 large chunks of meat into a dish and covered it and then popped it in on high for 2 and a half minutes, after this time he turned the meat and coated it in the sauce before popping on high in the microwave for a further 2 minutes. By this time the pork was piping hot and falling apart beautifully, we just had to finish off pulling it using 2 forks to give more of a pulled-like consistency. The smell of the pork was heavenly the kitchen smell of many delicious herbs and spices and I could just manage to get a small whiff of apple scents. 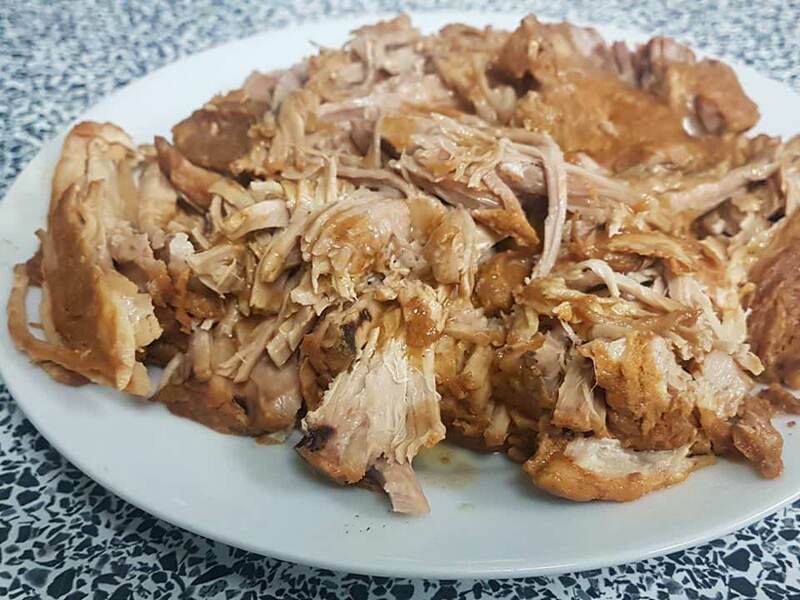 We first tried a mouthful of the pork on its own and were delighted by the flavours that we were met with although the apple and BBQ flavours weren&apos;t really there the meat was still delightful, tender, moist and juicy so we weren&apos;t going to complain. We enjoyed the remaining pulled for lunch over the next 2 days firstly to make burgers along with toppings of coleslaw, cheese and bacon and secondly as a yummy topping to our pizzas which were meat lovers styles with ham, bacon, and chicken, as well as the pulled pork and cheese, finished with a BBQ swirl. The pork was the star of the show in both of our lunches and we really enjoyed eating it, it heated great the following day. 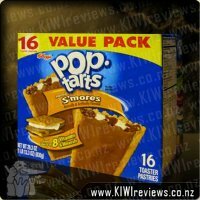 I would absolutely buy this product again, the price is quite high considering how much you really get, however this is something I have come to expect from such products so I am more than happy to pay it. There&apos;s nothing quite like a nice, flavoursome, tender-cooked piece of pork. When done properly, it simply falls apart as you eat it... and that is only improved by a good apple sauce. Only once before have I tried pulled pork in a bbq apple sauce, and I enjoyed it so I was expecting this to be similar. I was pleased to discover it was, if anything, a little better. My packet had three moderate-sized hunks of meat and a lot of sauce, so I decided I would try a variety of meal ideas. First, I tried to make a burger, but it was a little too sloppy for my comfort, so I opted to re-package the contents into a wrap and call it a Summer Burrito. It worked well enough and would have been better if I had assembled it the first time in that delivery envelope because it looked a mess. 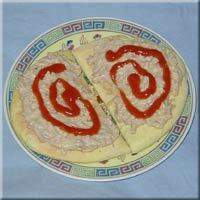 The next night, I opted for serving it on a bowl of seasoned garlic rice and steamed peas. 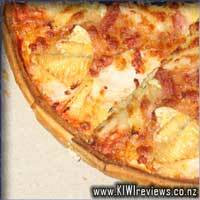 Topped with some fresh-cracked pepper, it was a delight to eat. I did find the textures of the meat and rice to be a bit awkward together, so I had to think of a new plan for the third meal. I decided to use the meat as an ingredient, instead of a portion. I set a pot of fettuccine cooking and worked on a meat sauce. While I warmed up the last chunk of pork and sauce in the microwave, I sauteed some onions and bacon bits until the onions were translucent and the bacon slightly crispy. I popped the now-hot pork and sauce into the pan with about half a cup of crushed tomatoes and juice from a can and lowered the heat to let it simmer for a few minutes while the pasta finished cooking. Just before the pasta was fully cooked, I pulled it out and put it in the sauce pan to finish off and soak up some sauce. A couple of tablespoons of the pasta water gave the sauce a lovely glossy look, and it was time to serve. Using the wider pasta gave a lot more surface area for sauce to stick to, and it wrapped around the bits of meat, keeping some in every bite. Alas, I got so wrapped up in it, it was gone before I knew it. Overall, this was such a wonderfully easy meat product to work with, and the taste is wonderful on its own, or as part of a complex flavour array. It could have been a disaster, making a pasta meat sauce out of it, but it has such a robust and versatile flavour it really is a delight to experiment with. I have already bought more, and plan to keep some in the fridge as often as I can afford to. 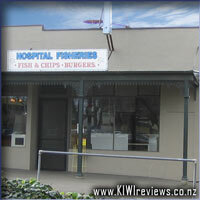 While not the cheapest meat out there, the price tag is well justified by the quality, taste and ease of use. 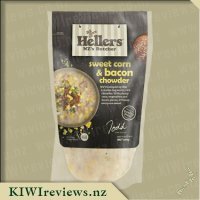 I decided to get the family on board to test this product as there was plenty to go round and the children both like pork. We followed the instructions and reheated it in the oven because microwave preparation can sometimes be unreliable and leave the food too dry. While it was heating, my daughter and I cooked some noodles and vegetables to go with it. 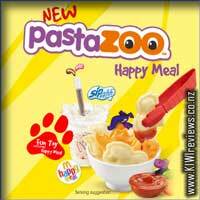 I thought it would be nice with mashed potato but was outvoted because noodles are easier! Preparation could not have been simpler. The contents slid easily out of the inner wrapping and fitted nicely into a small oven dish. The meat was in chunks at this stage, but after it was ready, we pulled it as instructed and found it divided evenly without difficulty - in fact it was so tender it pretty well fell apart. I have not been a fan of pulled pork in the past because it is often far too dry, but the addition of the apple sauce made all the difference. This was nice and juicy, adding interest and also removing any hint of dryness. 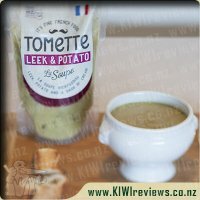 I noticed a slight kick to the sauce, undoubtedly the result of the added chilli, and was concerned that Mr Eight would not like it. Much to my surprise, he loved it - after finishing what was on his own plate, he asked if there was any more and then asked if we could have it again some time. Either his palate is maturing or the spiciness was not too strong; either way, it was great to see just how much he enjoyed it. He did say he preferred the meat without too much juice on, and scraped it off some of his pieces, but then he went back and dipped his noodles in the leftover juice anyway. We could not really taste the apple - it was quite subtle in comparison with the spices - but the acidity in it would have helped to break down the meat and tenderise it, and no doubt the flavour contributed to the overall effect. In terms of an easy meal, it was quick to prepare (the whole meal was ready in under half an hour, including preheating the oven and preparing the other vegetables) and there was more than enough for three hungry adults and a couple of children. It is a meal we will plan on getting again; in fact, I have already seen it on sale in one supermarket chain, so that is certainly going to happen. And pricewise for five people it is quite reasonable. I decided to really put this product to the test and see how well it worked under non-residential conditions. As the packet specified microwave instructions, I grabbed my packet and took it into work. 20 minutes to oven heat is too long for a work breakfast of lunch, but four and a half minutes in the microwave is very achievable. 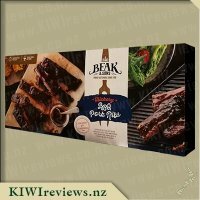 I like the packaging; it contains clear photos of the product and even ideas on what the meat can be used for, and the entire back of the packet contains the nutritional information, ingredients, and cooking instructions. This layout is much preferable to the ribs boxes, as it&apos;s easy to find what you are looking for, and the font is large enough to read without issue. Inside the matte cardboard box, the product comes in a foil bag, that has a notch that makes it easy to tear open when you need to. I love the foil as it keeps everything clean, as well as allowing the product to last longer than typical meat you buy from the supermarket that you have to eat after a couple of days. Rip open the bag, squeeze the meat into a bowl, smush out the rest of the sauce, and chuck it in the microwave. In reality, it may not have been the best idea to bring it into work, as the product has a very strong lingering smell which may make me as hated as the guy that brings tuna in to work. The smell of the product cold is not the most appealing, but as it starts to warm up in the microwave, the bad smell is replaced by something much better. When I tried the Louisiana Beef Brisket variety at home, I left it in the sauce and found it ended up almost being a soup, so instead, I removed the meat from the bowl, pulled it to pieces on the plate and then spooned some of the sauce over the top. The product almost had the appearance of a shredded chicken and very quickly disappeared into peoples sandwiches and buns. Despite the smell fiasco, the product was a success, and the boys enjoyed getting some hot meat for lunch. The meat had a certain sweetness to it from the apple, but also had a noticeable kick to it from the chilli in the herbs and spices. 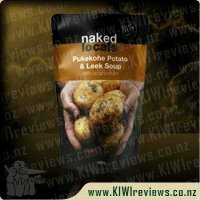 A very unique flavour that was very quick and easy to prepare without an oven. I had enjoyed the previous pulled meat so I looked forward to this, even though I have never eaten any type of meat with an apple based sauce. 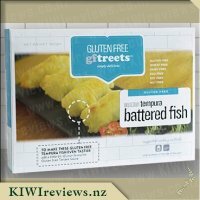 The front of the box is nice and gives you an idea of what you are going to expect plus an idea for what meal to use it in should you get completely stuck for ideas. I was happy to find good, clear instructions for how to prepare this meat and set about preparing to heat this up. 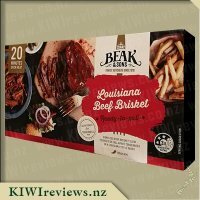 It can be a slight struggle getting the meat out of its packaging inside the box, with concerns about slopping sauce everywhere but in the end the mess was almost nil. I let it cook for the recommended twenty minutes before pulling it out of the oven and shredding it with a couple of forks. The meat fell apart beautifully and so easily, I don&apos;t think it could have come apart any easier in fact. Giving it a try I did find that it seemed rather lacking in flavour, not really any hint of apple nor any good degree of BBQ flavour or any real flavour. I mashed some potatoes, mixing in some saut� ©ed onions, garlic and mushrooms and then serving the meat on top. It was happily gobbled down by all the kids and there were a few dissapointed faces when I said there wasn&apos;t any left to go around. This was the first of the four Beak & Sons meats which needed a little salt to give a flavour boost, I also found it just a little on the dry side which was a shame. However, I would be happy to try this again, I think it would be perfect in tacos or nachos. So we may well be buying this again. Part of the hot new 70's range. 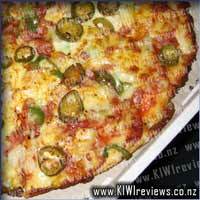 Special tomato sauce, mozzarella cheese, pepperoni, onion, capsicum, shredded cotto, jalapeno chillies, fresh garlic, oregano, chilli flakes.